First release of the Spring Collection 2012 from PurpleMoon | ! *PurpleMoon Creations* ! Yes! Spring is right around the corner! Can you believe it!? 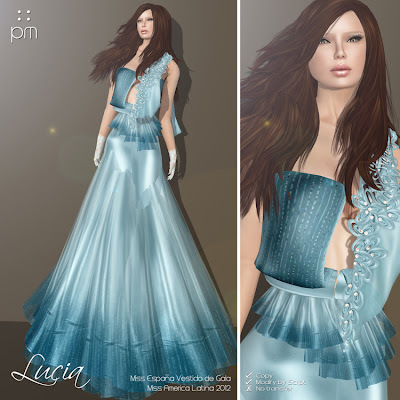 I am working on wonderful colors, soft fabrics, very bright outfits for this season and to get us started I would like to show you our first gown of the season! 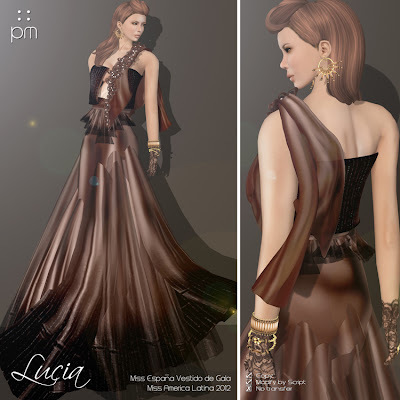 I created this gown for the lovely Lucia Brune. She was a contestant at Miss America Latina as Miss España. And she rocked the runway with this new gown full of life and class. Hope you like all the little details on it and the amazing colors that can be found. This dress is amazingly stunning! I love every color!